While you’re in the relaxed island community of Cedar Key, be sure to check these three interconnected spots along the waterfront; Yellow-crowned and Black-crowned Night-Herons linger on pilings in the marina, Spotted Sandpipers bob on the rocky shore and Magnificent Frigatebirds cruise overhead during the summer months. Brown Pelicans and Laughing Gulls are common around the massive fishing pier at the corner of C St. and Dock St. Just east of the marina, sandy spits off the city park’s small beach are frequented by a variety of shorebirds in the winter and during migration; Black Skimmers and Royal Terns may be present as well. Canoes and kayaks are available for rent throughout Cedar Key—exploring the Gulf and its numerous keys makes a fun morning or afternoon adventure. Consider extending your stay and paddling over to Atsena Otie Key (about 0.5 to 0.7 miles one-way, depending on launch location), a small, wooded island southwest of the Cedar Key Fishing Pier; this island is part of the Cedar Key National Wildlife Refuge. 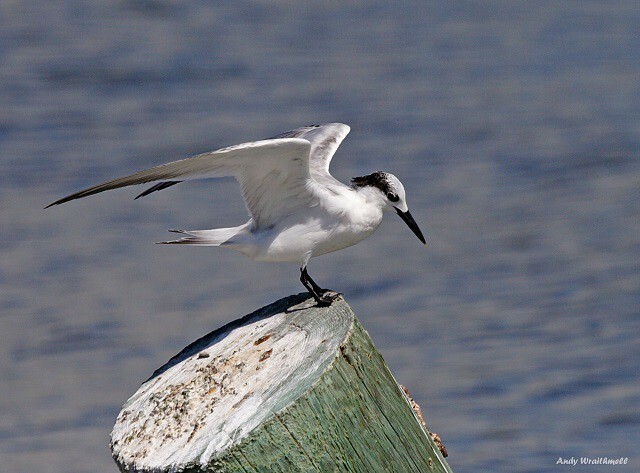 A large, abandoned dock on the northwest side of the key often has substantial numbers of loafing Sandwich Terns and other waterbirds; walk the 400-foot pier for a closer look. Stroll the key’s beaches, looking for shorebirds like Ruddy Turnstone and Red Knots, and on your return paddle, scan for American Oystercatchers feeding and resting on the nearby oyster bars.